 The term ‘Japanese Knotweed Control Ltd or ‘us’ or ‘we’ refers to the owner of the Website whose registered office is Houldsworth Business Centre, Houldsworth Street, Stockport SK5 6DA. Our company registration number is 6047453. The term ‘you’ refers to the user or viewer of our Website. Your use of this website and any dispute arising out of such use of the Website is subject to the laws of England, Northern Ireland, Scotland and Wales. We may have placed links on this Website to other websites we think you may want to visit. These websites do not belong to Japanese Knotweed Control Ltd. We do not vet the contents of the website(s), which cannot be controlled or influenced by Japanese Knotweed Control Ltd, nor do we endorse or support the website(s). We have no responsibility for the content of the website(s) or the consequences of your use of the website(s). We are not involved in your transactions with the website(s) and we bear no responsibility or liability to you or any third party which could potentially result. Neither we nor any third parties make any warranty as to the accuracy, timeliness, performance, completeness or suitability of the information and materials found or offered on this website for any particular purpose. We expressly assume no liability or responsibility for any errors or omissions in the content of this site. You acknowledge that such information and materials may contain inaccuracies or errors and everything on this site is provided to you “as is” and “as available”. Please be aware that whilst Japanese Knotweed Control uses reasonable effort to ensure that this Website is free from viruses and other malicious or harmful content, we cannot guarantee that your use of this Website (including any content on it or any website accessible from it) will not cause damage to your computer or other device. It is your responsibility to ensure that you have the right equipment (including antivirus software) to use the Website safely and to screen out anything that may damage or harm your computer or other device. Except where required by applicable law, Japanese Knotweed Control Ltd shall not be liable to any person for any loss or damage they suffer as a result of viruses or other malicious or harmful content that they access from or via the Website. This website contains material which is owned by or licensed to us. This material includes, but is not limited to, the design, layout, look, appearance and graphics. Please note that it is our policy to enforce its intellectual property rights to the fullest extent of the law, including seeking criminal sanctions. The trademarks, logos and service marks (collectively, the “Trademarks”) displayed on this site are registered and unregistered trademarks which are owned by or licensed to Japanese Knotweed Control Ltd. Nothing on this site should be construed as granting, by implication or otherwise, any license or right in or to the intellectual property without the express written permission of Japanese Knotweed Control Ltd. In addition, any reproduction, retransmission, modification or use of this site’s contents for other than personal, non-commercial purposes requires the prior written consent of Japanese Knotweed Control Ltd. This Privacy Statement explains how Japanese Knotweed Control Ltd uses personal information and applies to all users of our site and customers on or after the Effective Date. Please read this Privacy Statement carefully. If you do not agree to our practices, please do not register, or otherwise interact with Japanese Knotweed Control Ltd at www.japaneseknotweedcontrol.com, over the phone, or via email. Upon request, we’ll tell you what information we have recorded about you. If you would like any personal information amended or deleted please contact us using the details above. Contact Information that allows us to communicate with you, such as your name, postal addresses, email addresses, telephone numbers, or other addresses at which you receive communications from or on behalf of Japanese Knotweed Control Ltd.
Financial Account Information as needed to process payments for goods or services that you buy, such as your credit or debit card number, expiration date, and card verification number. Any personal details you provide us with will only be used to contact you or to satisfy the purpose for which it was collected. In common with other websites, log files are automatically stored on the web server saving details of your visit to the Website. The server does not recognise or record any individual information about you and we cannot identify you personally from these details. This information may be used for statistical purposes. We do not know your email address unless you give it to us. We only record your email address if you send us a message, either directly or by completing an online form. We will use it only internally within Japanese Knotweed Control Ltd, and will not disclose it to other organisations without your permission. We do not sell or pass on any of our visitors’ details. If you have given us your email address, but do not want to receive any correspondence from us in the future, please let us know by emailing info@japaneseknotweedcontrol.com. We use this information internally and share it with other people or organisations who need to know it as part of working with us in our normal business activities (e.g. Suppliers). We do not share your personal information with others except under these conditions, and we do not disclose or sell your personal information to others for use in mailing lists or databases. hall be governed by English law and subject to the exclusive jurisdiction of the courts of England and Wales. All contracts shall be concluded in English.